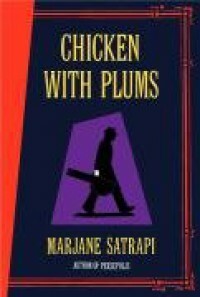 When I came back to the library to look for Persepolis 2, I couldn't find it any more, but I stumbled on another graphic novel by Marjane Satrapi: Chicken with Plums. This is the story of Satrapi's great-uncle Nasser Ali Khan, one of Iran's most famous musicians, who takes to bed after realizing that he'll never be able to find an instrument to replace his beloved, broken tar. Eight days later, he's dead. In his final eight days, Nasser Ali is visited by family members, memories, and hallucinations. We are told each of them in rich detail, together with classical Persian poetry, bits of history, folk stories, as well as an occasional flash forward into lives Nasser Ali will never have a chance to see. 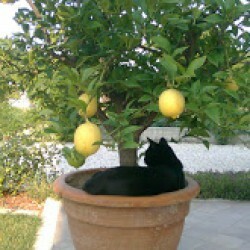 This is a sad little story, a quick read which gives you more insight into Persian culture. Recommended if you're a fan of Marjane Satrapi.